In a medium saucepan, combine the Cherries, Sugar, Tapioca and the Water. Stir to combine and then let sit for 5 minutes. Add the Almond Extract and 1 Tbsp. Butter; stir to dissolve. 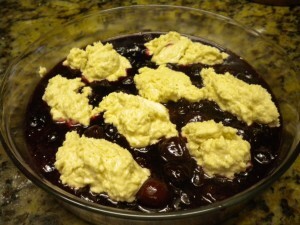 Transfer the Cherries to an 8 x 1 ½ “ round baking dish. Adjust the oven rack to the middle position and then preheat the oven to 400 degrees. 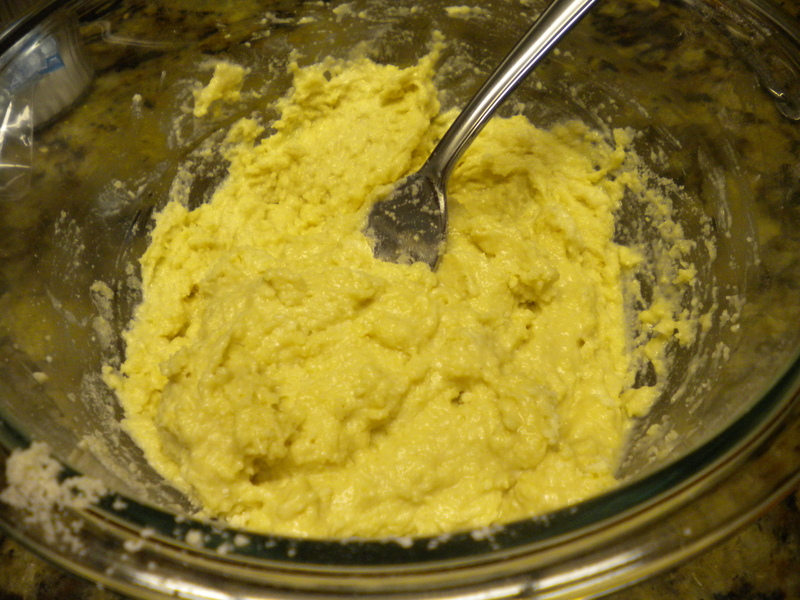 In a medium-size mixing bowl, combine the Flour, Sugar, Baking Soda & Powder. 5. 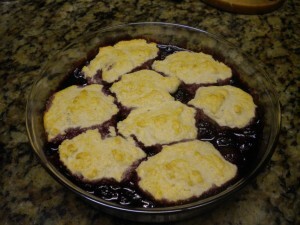 Using a large spoon add dollops of the Topping Mixture to the top of the Fruit. You should have about 8 spoonfuls in all. 6. Bake for 20 minutes or until the topping is golden brown; serve warm with Ice Cream or Heavy Cream. 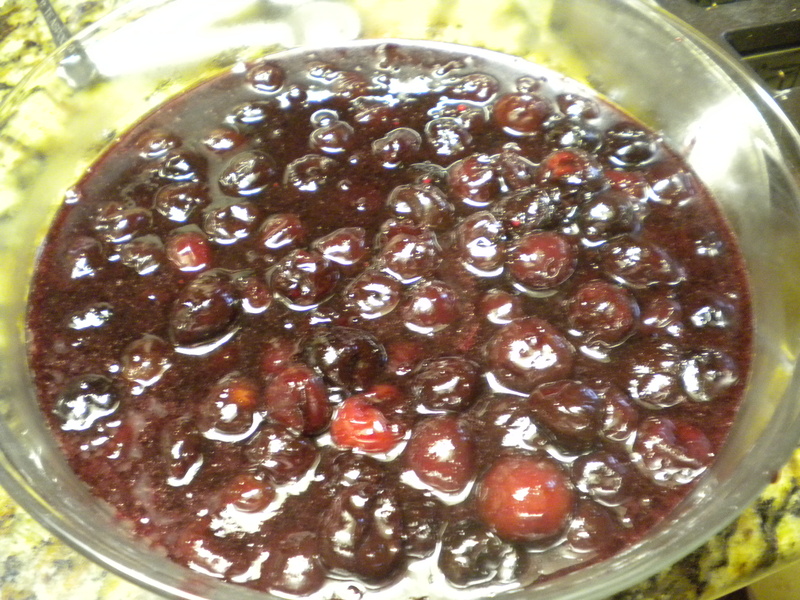 Note: If you are using Sweet Cherries, reduce the Sugar to 1/4 cup and increase the Lemon Juice to 1 1/2 Tbsps.